A conversation with Erika Meitner, recipient of the 2018 National Jewish Book Award for poetry. 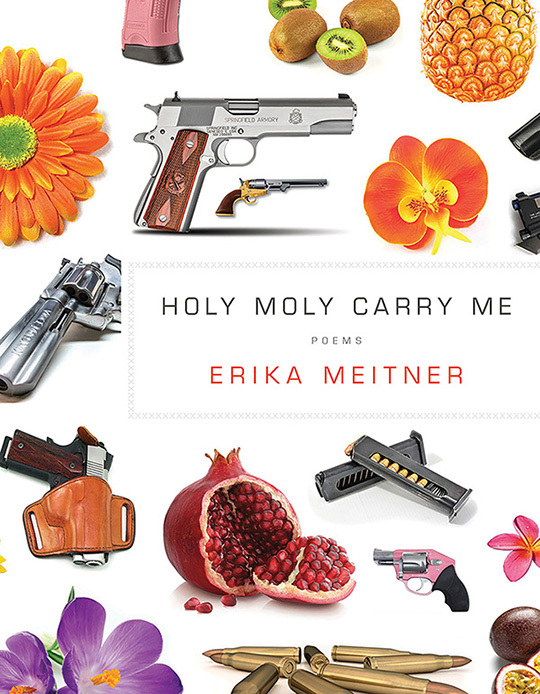 Erika Meitner is the winner of the 2018 National Jewish Book Award in Poetry for her fifth collection of poems, “Holy Moly Carry Me” (BOA Editions). She writes with immediacy and clarity, unfolding stories suspended between past and present and infused with Jewish thought. 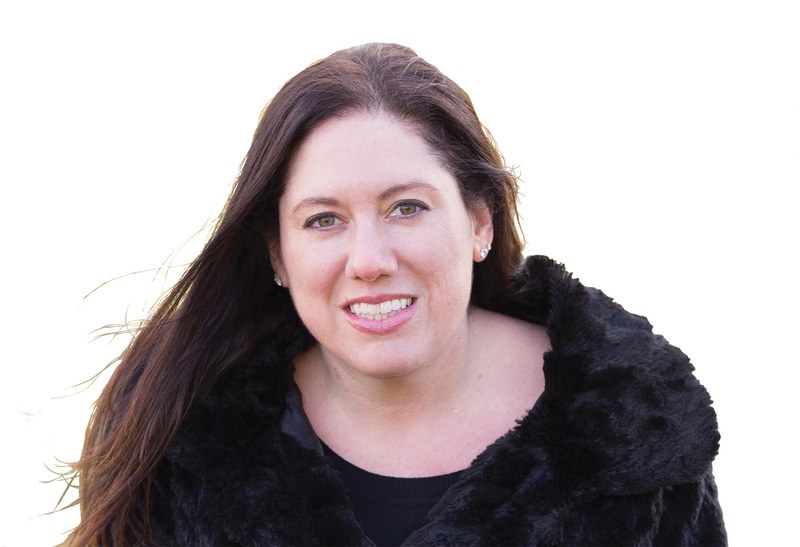 A 2015 Fulbright Distinguished Scholar at the Seamus Heaney Centre for Poetry at Queens University Belfast, she is an associate professor of English at Virginia Tech in Blacksburg, where she directs the MFA and undergraduate programs in creative writing. Living in a place where many neighbors have firearms, she wrestles with gun violence, racial tensions, raising children and feelings of exile in her poems, which are alive with detail and deep awareness. The Jewish Week interviewed her via email. Jewish Week: You’re living in Appalachia, often writing about Jewish themes. What is that experience like? 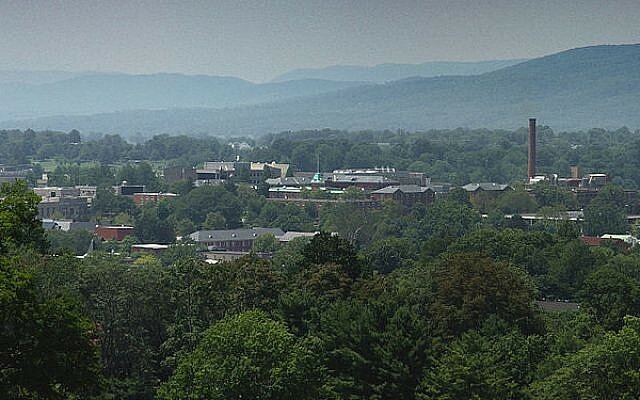 Erika Meitner: I grew up in Queens and Long Island in places that were so Jewish the pizza places and bagel stores would actually close on Pesach, but I’ve been living in the mountains of rural Southwest Virginia since 2007 when I started teaching at Virginia Tech. And my family is both Jewish and multiracial — my oldest son is white and my youngest son is black — so it’s been a deep shift and a learning experience for me to be in a place where we’re definitely not in the majority demographically. Our local JCC (which is the only synagogue in town) is lay-led, and we create our own community here very effortfully and intentionally. My poems are often written from my own life experiences, and especially from moments of strangeness or disjunction or tension. While our town is a pretty liberal college town, it is also deeply Christian, so a lot of my writing is born out of unexpected moments where my values or experiences or cultural expectations rub up against those of people around me. Meitner: National Jewish Book Award winner. “Holy Moly Carry Me” feels like an Appalachian hymn or exhortation to me. Much of my work is titled after or inspired by visual art, and there are two poems in the book named after artist Kim Beck’s sculptural project Holymoley Land. But ultimately I wanted a different title for the book that reflected the wonder in these poems, and the balance between fragility and danger in them too. When I wrote this book, one of the driving principles was Leviticus 19:18: “You shall love your neighbor as yourself.” And while my neighbors are often really different from me in their backgrounds and world views, we share relationships built on proximity, and we support each other. I felt like the title reflected that mutual responsibility. How does your family background — as the granddaughter of Holocaust survivors on your mother’s side, and Israelis on your father’s side — influence your writing? Many of my poems are narrative, and definitely read as stories. I think this definitely has to do with my family background, and the fact that a lot of my family history was shrouded in silence. When I was very young, my maternal grandmother used to tell me that the numbers on her arm were her phone number. Like many survivors who wanted to protect their grandkids from the horrors they endured, she didn’t talk about her experiences during the war until the early 1990s, when the Fortunoff Foundation and the Shoah Foundation sent interviewers to collect stories from survivors. In being shaped by that silence, I always felt compelled to tell stories that mattered, and that reflect my belief that art and social justice should be entwined in some way—which is also a legacy of my Reform Jewish upbringing, and its focus on tikkun olam. What advice would you share with young poets? Two things are really important for poets — a certain openness, and tenacity. To make good poems, you can’t be closed off emotionally to yourself, and more importantly, you can’t move through the world without a willingness to see and listen to what’s around you in mindful ways. The wonderful poet Ilya Kaminsky recently tweeted a quote from Simone Weil’s “Gravity and Grace”: “Attention, taken to its highest degree, is the same thing as prayer. It presupposes faith and love. Absolutely unmixed attention is prayer.” I think poetry, and prayer as Weil is defining it, feel very similar to me.